We’ve just identified the Perfect Storm, and we like what we see. StealthGas is a Greekbased operator small-sized tankers transporting Liquified Petroleum Gas (LPG). It embodies everything investors have been desperately trying to avoid for the past 12-18 months: Uncertainty in Greece; Price Implosion in Energy; Oversupply in Shipping. So why are we intrigued? Price. The stock trades at a fraction of net asset value. In addition, it has lots of cash, very little debt, a new fleet with dominant market share. One more point: It’s making money even now, at the lowest shipping rates in decades. StealthGas is a balance sheet story with a cash flow cushion. 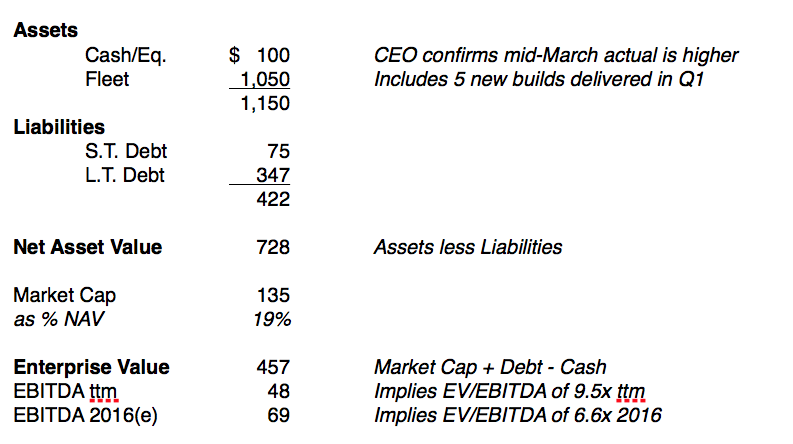 Assets comprise cash of $100M and a fleet valued at $1.05B. Its 53 ultra-high quality, Japanese-made LPG carriers have an average age of 8.8 years. The fleet is almost fully booked, operating at 93% of capacity, and last year the company generated nearly $50M in EBITDA. Liabilities as of 12/31 totaled $455M, including $75M short-term debt and $347M long-term debt. Debt is privately held by international lenders in the form of loans at an average of +200bp over LIBOR for terms of 7-15 years. Leverage (net debt to assets) is 35%, half the industry average and likely to decline through 2018 as the company retires a portion of its current loans. Bottom line, StealthGas owns high quality assets funded with low comparative levels of debt. b. Earn $25M annually by privatizing StealthGas in an LBO, financed by putting up a portion of the fleet as collateral and using cash flow to support debt payments. If we apply the same 30% haircut to the fleet’s market value, we’d need to post roughly 2/3 of the fleet as collateral against the purchase price (484 * 1.3 = $629M). If this were financed with debt at 7%, debt service would total $44M (629 * 0.07), which is easily covered by 2016 estimated cashflow of $69M. Pretax operating profit would be $25M (69 – 44). To check our math and get a second opinion, we spoke with Jefferies’ I.I. ranked shipping analyst Doug Mavrinac. For starters, he rates the stock a buy with a $7 price target, suggesting it’s 50% undervalued at current prices. He shared several other key perspectives. First, he notes StealthGas is making money at the bottom of the rates cycle, which should provide considerable operating leverage if rates begin to rise. In fact, Mr. Vafias told us a sustained increase of $1,000 in the current day rate of $7,000 would add $20M to cashflow this year. Second, Doug argues maritime shipping stocks should trade on the volumes of the materials they transport, NOT the prices of those materials… and volumes are up. 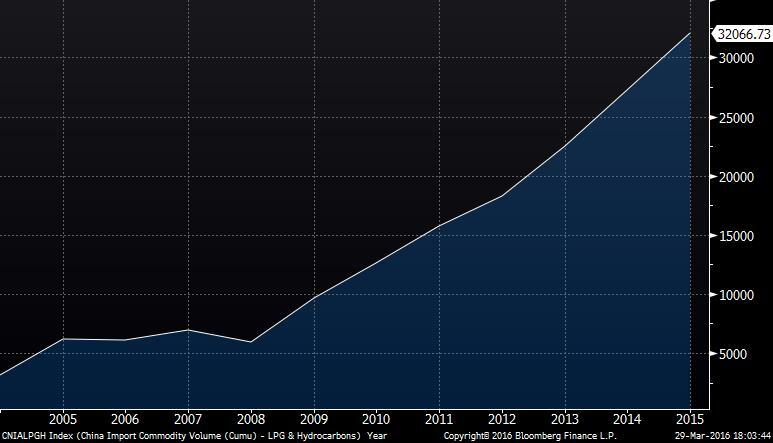 Liquified petroleum gas (LPG) shipments from the Mideast to China have been rising steadily. This is where two-thirds of StealthGas vessels are booked on term charter, and why the company enjoys a 93% operating rate. Since 2008, China’s imports have increased sixfold, as rising household wealth has enabled more Chinese to purchase cooktops and stoves. Globally, Doug forecasts global LPG trade will grow 15-16% in 2016 and 10-11% in 2017. This is very good for StealthGas. 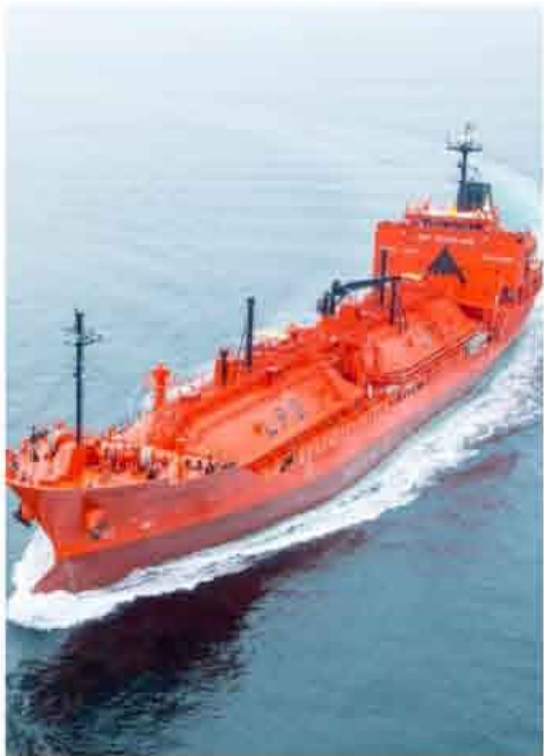 Critically, StealthGas operates vessels in the smallest class of LPG carriers (3,000-8,000 cubic meters). This is a distinguishing advantage over competitors, whose larger vessels cannot access the many smaller ports which supply secondary and tertiary Asian markets. Additionally, with fewer smaller vessels on the water currently and fewer new build deliveries expected in 2016 (11% vs 39% overall) smaller vessel day rates are significantly less volatile than those for larger vessels. Doug believes this combination of fundamentals creates divergences within shipping asset classes and positions StealthGas as the one to own. Ultimately, the maritime shipping industry is fairly easy to understand. Operators fund vessel purchases with debt, servicing coupon payments with cash flow earned from transporting material with predictable regularity. Eventually, bonds come due and vessels are either recapitalized or sold. Proceeds fund purchases of new vessels and the cycle recommences. The opportunity in StealthGas currently is equally straightforward: A stock valuation at 19% of net asset value is simply too cheap for a market share leader whose vessels are nearly fully booked, generating ample cash flow to service low levels of debt and produce profits for shareholders. Amtrak’s Acela speeds the suit-and-tie crowd between NY and Boston at up to 150 mph… until it doesn’t. After experiencing multiple mechanical fails first hand on a recent trip, we started going backwards. I immediately tweeted the situation and included #delta as a way of notifying powers-that-be my next trip might involve alternative transportation. Little did I know they were watching. Within 90 seconds, a return tweet offered both apologies and assurances we’d resume in short order. Moments later we were rolling. I tweeted my thanks and so did they. #LoveOnTheRails and #CustomerForLife. What a difference compared to Saks Fifth Avenue. As the whole Amtrak episode unfolded in real time, Saks sent me an email promoting Purses and Party Dresses, even though my preferences clearly include M for male. Already on edge, I texted Customer Service. ‘Unfortunately we don’t offer an option’ for emails by gender. But wait, you have the data. I’m a guy and I buy guy stuff. Don’t you realize I don’t care about purses on sale? Apparently not. After several more canned responses like ‘How can we help you?” I realized they weren’t listening anyway and I cancelled my account. 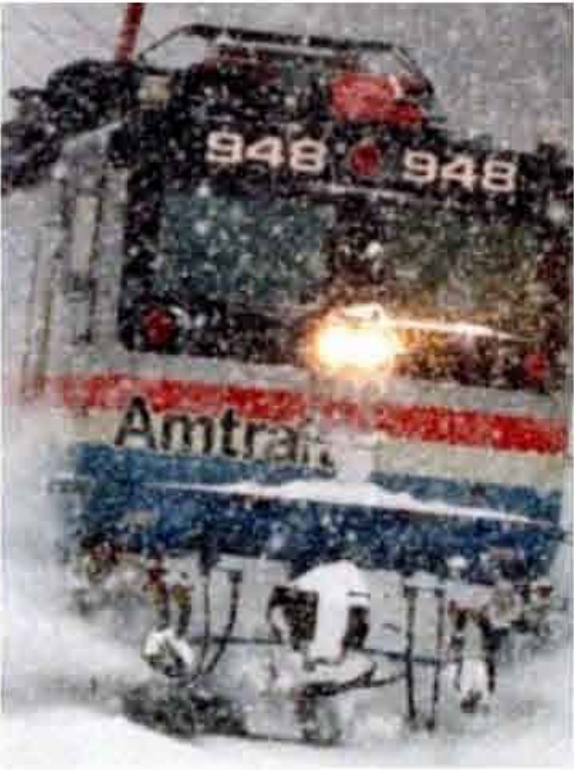 Thank goodness Amtrak was moving. Salesforce.com Chief Digital Officer Vala Afshar estimates companies capture only 1% of available data, as 90% of the data has been created in the last two years and companies haven’t caught up. We’ve gone well past iPhones tracking you on GPS. Retailers now record your movements within the store. As a result, data transmitted across mobile devices has risen 8x since 2012. Cisco predicts 10-12 fold by 2017. The question is how to keep up, and even highly respected leaders confess they are struggling. I spoke with GE Vice-Chair Beth Comstock at a leadership conference in Boston mid-March. Before introducing her on stage to a group of several hundred C-suite executives, she offered a stunning revelation. “I am so uncomfortable right now.” Nerves I wondered? Hardly. She was referring to accelerating change and overwhelming data loads pushing both systems and people to the brink. Mr. Afshar’s revelation reflects a generational and seismic shift which will spawn a new breed of entrepreneur focused on a new approach we call Streamlining. At the same panel in Boston, former Akamai CEO Paul Sagan implored attendees to “Communicate your digital vision so every employee can understand why his/her role will expand as a result the increased knowledge data imparts.” This is why some technology companies have begun carving out a new position in the C-Suite called Chief Digital Evangelist. 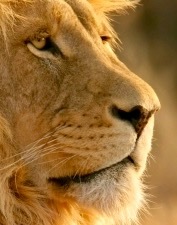 Equal parts Visionary / Strategist / Manager, CDEs will become increasingly important to large enterprises. They are the new brainiacs. True, data visualization companies like Tableau (DATA), as well as predictive analytics companies like Qlik (QLIK) and Splunk (SPLK) are already on the scene. They represent Gen One and there will be more. Some will begin as elite groups within consulting companies like Accenture, ultimately getting spun out to at premium valuations. 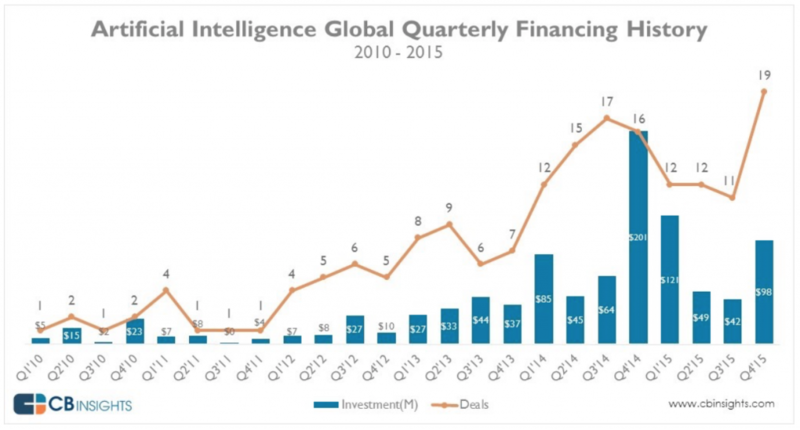 Others will be startups with several employees, attracting VC capital in quick and successive rounds. Any software company which can help rationalize reams of data in human terms will become highly sought after and garner premium valuation. Our job as investors is to identify these new Streamliners. We believe this will emerge as an important investment theme over the next several years and we plan to position accordingly. GE spinout Genepact (G) pioneered this so-called streamlining, and it has since trademarked an approach it calls Lean Digital. As explained to me by lead architect and CMO Gianni Giacomelli, Lean Digital provides a holistic solution to data management by aligning front, middle and back office functions end-to-end. Legacy systems burdened by looping workflow patterns and bolt-on solutions are out. Linearity and logic are in. This is the new model, and here’s our take on what it looks like. Nearly every consulting company (Accenture, McKinsey, etc.) offers process improvement as part of its suite of services. However very few are pure-play, or close to pure-play systems integrators like Genpact. 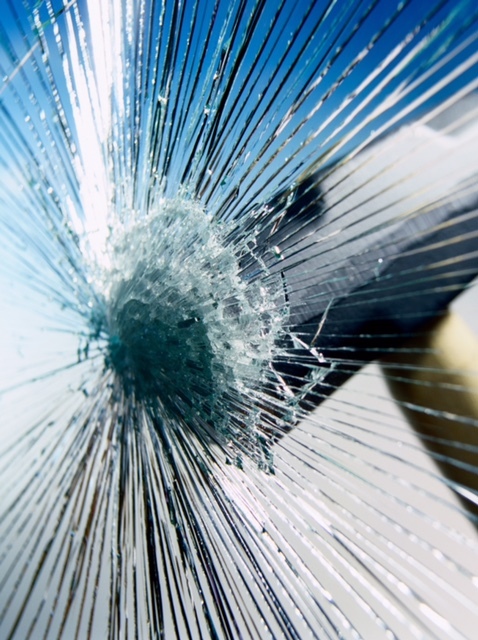 The company conducted a survey of 100 large U.S. enterprises and concluded 45% rely on outdated legacy systems while 36% struggle with change management. 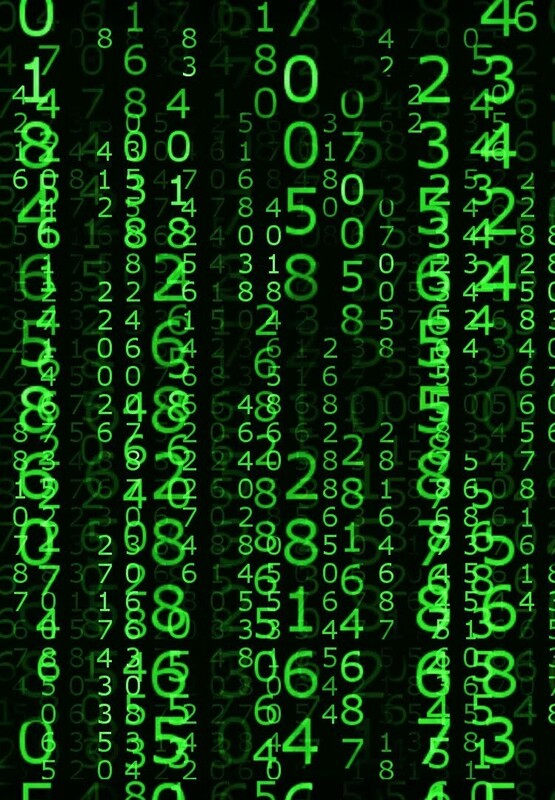 Given global annual software and services spending of $2.7T (Gartner), the potential revenue opportunity to help companies realign systems and integrate metadata is significant. Genpact revenue growth has averaged 7-8% since 2014 and will accelerate to 10% into 2017 based on consensus forecasts. We like this year’s earnings growth outlook of 12%, though the 18.5x P/E multiple make us more inclined to buy on pull backs. Five9 (FIVN) is another IT systems pure play we are actively watching. The company creates customer service software aimed at significantly improving call center effectiveness… Saks may want to give them a call. Imagine calling customer service and not having to repeat your account number each time your are passed along the chain. Actually, imagine not getting passed along at all. One person would have access to your ENTIRE account history and be empowered to provide solutions in realtime without putting you on hold. I interviewed Founder/CEO Mike Burkland at the NASDAQ Market Site and he outlined two pathways for growth over the next two years. First, FIVN has recently partnered with Salesforce.com (CRM) to integrate their software into the Salesforce customer relationship management platform, meaning Salesforce customers can seamlessly become Five9 customers. This is Uuuuge. Second, Five9’s revenues are less than 1% of the $24B addressable market for call center services, so there’s plenty of potential upside (15.8M call service agents globally X $150/month for Five9 software X 12 months = $24B). Management has made its case to investors at five growth conferences in five months (Barclays, Needham, Northland, Pacific Crest, Roth) and 5 of 6 analysts rate shares a Buy. The average 12-month target of $10.50 implies 35% upside. One final point from Rob Harles, who heads the Social Collaboration practice for Accenture. He notes two thirds of the S&P 500 components turn over every ten years, meaning innovation is the essence of relevance. He suggests “beehiving” small groups of highly talented employees on a regular basis and presenting them with a mandate: Figure out how to put us out of business. Thanks for the tip, Rob. American illustrator J.M. 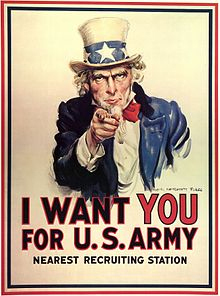 Flagg created his iconic image of Uncle Sam for Army recruiting posters in 1917. He effectively painted himself wearing a top hat and borrowed the nickname from a legendary U.S. Army meat supplier from the Battle of 1812, whom troops affectionately called “Uncle Sam” for stamping US on bags of rations. Today pork has replaced steak as Washington’s meal of choice, but there’s still one particular feast every American deserves: tax-deferred compounding and 100% dividend reinvestment in a 401(k) account. Congress first introduced language on tax deferred savings plans into the Internal Revenue Service Code in 1978, though in true governmental fashion the IRS took another three years to codify treatment and structure for what would become commonly known as 401(k) accounts. By 1983, seven million Americans were on board. Today the number has risen to 55 million and assets top $4.5 trillion, according to the Investment Company Institute. Now, let’s be clear: 55 million people may sound like a lot, but it’s less than one-third of the working population. Far too many people are ignoring Uncle Sam’s generosity… note the pointed finger. This is red meat for the masses, and everyone has a seat at the table. 401(k) accounts represent the single most advantageous retirement plan available and we should all be participating. Here’s why and how to maximize returns. For the 2015 tax year, individuals can contribute up to $17,500 of pre-tax income. In addition, companies can make matching contributions, provided the combined total does not exceed $53,000. All earnings which accrue in a 401(k) are tax deferred, meaning no tax is paid until withdrawal, presumably after retirement and therefore at lower rates. Since earnings include interest, dividends, and capital gains, 401(k) returns significantly outperform identical allocations in after-tax accounts. In effect, the government is giving you a loan on all your gains, allowing you to compound the government’s money in the process. Again, this is a very good deal. To better illustrate the point, consider returns on the S&P 500 Index relative to its Total Return Index, where dividends are reinvested without regards to tax withholding. This is analogous to a 401(k) account. Every time a company in the index pays a dividend, the amount automatically goes towards purchasing additional shares. The Total Return Index assumes taxes and commissions are zero. The difference is staggering when seen on the chart above. While an initial investment of $100 in the S&P 500 Index at the beginning of 1990 rose to $580 by 2015, the Total Return Index (TRI) rose an additional 430 percent to $1,010. The reason for the near doubling of performance is twofold: additional shares accumulated over time generate additional return; no taxes are paid on dividend distributions, so more money buys more shares. Let’s put some real world numbers on this to further prove the point, focusing on the actual 25 year period from 1990 to 2015. We will be very conservative in our assumptions: a.) an individual’s company does not match employee contributions; b.) the IRS maintains its current maximum of $17,500 rather than adjusting upwards for cost of living. Our base case reflects the actual return of the S&P 500 Index over the 25 year period, including dividend income, but not allowing for any dividend reinvestment. In our 401(k) account by contrast, those same dividends accrue tax-free and are fully reinvested. Plugging actual returns of 8.5 percent and 11.4 percent respectively using Bloomberg data, 401(k) outperformance is self-evident. 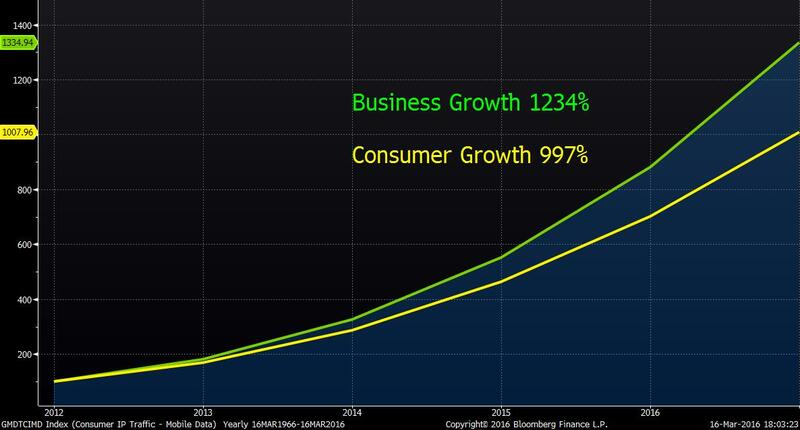 The key here is compounding over time. The same S&P 500 stocks in a 401(k) account produced nearly double the return of 25 years. For all the talk (and effort) to find the next Uber or Apple, buying boring dividend-paying names and reinvesting the proceeds on a tax-deferred basis is a highly profitable strategy. Now that we’ve got the basics, the question is whether we can further optimize returns through stock selection, and the answer may be yes. 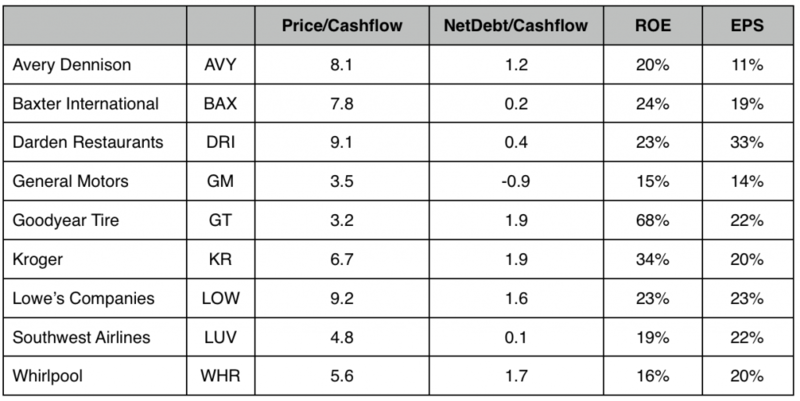 The team at Strategas Research looked at the risk-adjusted returns of S&P 500 component stocks sorted by dividend yield. They found risk and reward were maximized when investors bought the second decile of highest yielding stocks (i.e. stocks ranked 61-80% in terms of yield) and rebalanced every 6 months. As their data illustrates, the second quintile produced the highest returns on both an absolute and risk-adjusted basis. We are all about maximizing returns, but not at the expense of our sanity. Even in a world of zero commissions, the prospect of buying/rebalancing/reinvesting dividends on over 100 stocks is totally impractical. So as an alternative, we applied the Strategas second quintile approach to the more manageable Dow Jones Industrial Average. 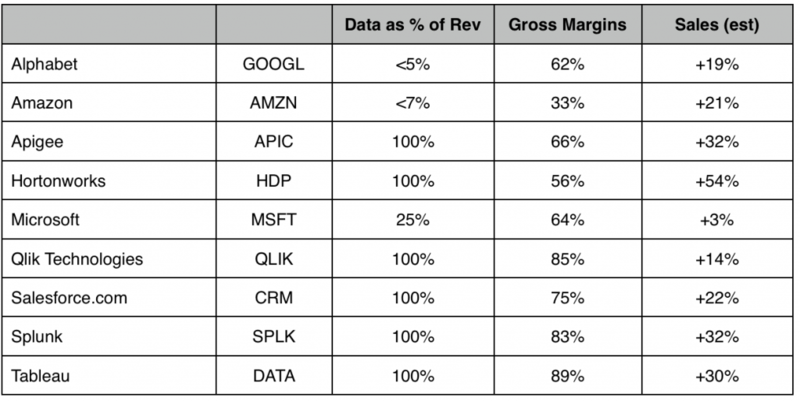 The index has just 30 components, all of which pay dividends, so the second quintile totals just six companies. Backtesting the strategy with Bloomberg Analytics over the maximum period allowable (2000-2015) shows the DJIA second quintile group outperformed the overall DJIA Index by a margin of three to one, returning a cumulative 151% compared to 52%. Additionally, since Bloomberg Analytics can only model dividends paid plus stock appreciation on backward-looking time series, not dividend reinvestment, we would expect actual returns to be higher. • Buy the second quintile dividend components of the DJIA as of 12/31. • Rebalance as of 6/30, and every 6 months thereafter. • Immediately buy new shares with proceeds from dividend distributions. • Our study revealed 51% turnover annually, meaning three stocks were typically bought/sold every 6 months. Strong words indeed, and we admit they catch our attention. We don’t often hear executives raise the bar quite so high, especially in the beleaguered semiconductor industry. Intense competition has compressed operating margins, and research firm IDC estimates growth in 2016 will barley touch 3 percent. But don’t bother telling Peter Kelly, Exec Vice-President of M&A at NXP Semiconductors NV (NXPI). He’s the man who made the comment at Morgan Stanley’s Tech Media & Telecom Conference in early March. He is also the executive charged with integrating NXP’s recent acquisition of Freescale Semiconductor. The companies merged in December and now control over half the market for secure smart chips used in the auto industry. In that rapidly growing niche, where NXP’s chips work with sensors to enable park assist, automatic braking and lane change alerts, no one else even comes close. NXP also ranks #1 globally in programmable smart chips used on credit cards and inside smartphones to power secure money transfer apps like ApplePay (9.5% of sales). Samsung is also a customer, accounting for 5.5% of sales. Together, NXP’s dominant auto and consumer franchises account over half annual revenue, estimated at $9.5B for 2016 as the company integrates its Freescale acquisition. This transaction catapults NXP squarely into the middle of the S&P 500 Index, comparable to Mastercard (MA), Lennar (LEN) and Tyco International (TYC). Wall Street got the whisper ahead of the news, of course. Top ten shareholders all bought shares during Q4 –lots of shares– and critically they are strong-handed buyers with very deep pockets… a CFO’s dream. Institutional investors of this caliber buy large blocks because they have vetted the story ad nauseam. Their analysts have inserted themselves into the supply chain and modeled future cash flows. Their portfolio managers have argued multiple opportunities around the table and settled on a select few. Ten thorough investors reaching the same conclusion at the same time speaks volumes. CATALYST #1: the NXP/Freescale combination creates runway. First, the combined company will control over 15% of the $26B market for secure, specialized chips used by the auto industry. Second, this market is growing three times faster than the overall semiconductor market according to IDC, 9% versus 3%. Third, the sensor/secure chip architecture in hybrids and driver-assist technologies has significantly higher margins than traditional logic chips, in some cases by a factor of four. Fourth, these smart vehicles require double the number of chips, a total of $200 per vehicle. Fifth, added scale fosters long-term partnerships with key suppliers, providing added earnings visibility for NXP investors. CATALYST #2: Rising demand for NXP’s secure smart chips which drive e-commerce on mobile devices. While mergers grab headlines, STX has an equally compelling opportunity to expand its near-field communication chip business (NFC) on mobile devices through major agreements with Apple, Samsung and Xiaomi. NXP creates secure chips in smartphones which enable tap-to-pay transactions, think Starbucks lattes with a tap of your phone at the checkout counter. This mobile division was equal in size to Auto prior to the Freescale merger ($1.3B annual revs), and is growing even faster at 13%. The deal with ApplePay accounts for nearly a tenth of NXP revenues, and a recently announced expansion with Xiaomi further enables public transit payments throughout China. Essentially, these are the next gen chips which first appeared on credit cards in the 1990s as a secure alternative to magnetic strips. That transition solved fraud issues, and now internalizing payment within the phone increases flexibility. Since the phone is connected, chips can be updated remotely, unlike chip enabled cards which have to be replaced. 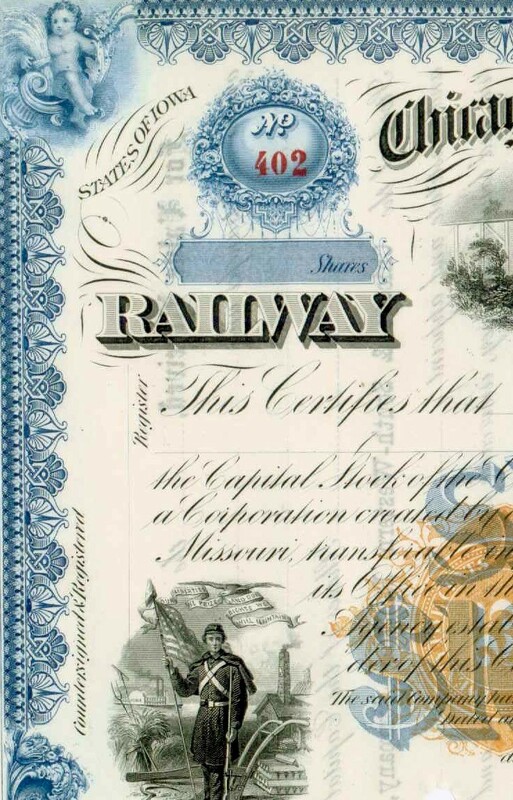 Related applications like electronic passports present additional upside. In the case of Xiaomi’s new transit app, the goal is to transition 400M users of disposable transit cards to tap-to-pay technology. It’s just one of 108 NXP customers identified by Bloomberg. Based on company filings, Bloomberg Intelligence quantifies such near-field communication (NFC) opportunities as a potential 98.5% CAGR market through 2020, which would still put mobile payments at just 7.1% of total. 25 analysts cover NXP, 23 of whom rate it a Buy. Collectively, they forecast 35% upside over the next 12 months (average target $104). We agree with their estimation, and we believe 13.6 times earnings is far too cheap given the glide path. George Gleason bought his first bank in 1979 at age 25, becoming both employee #13 and Chairman of a $28 million lender with five branches across rural Arkansas. Dozens of acquisitions later, his Bank of the Ozarks, Inc. (OZRK) is still buying and consistently ranks as one of the most profitable regional banks focused on traditional Main Street lending. Since 2010 alone, he’s added $6.6B in assets. His current bid for C1 Financial (BNK) will expand the franchise into southern Florida, adding an additional $1.5 billion in assets. American Banker named Gleason Community Banker of the Year in 2010, citing consistent shareholder return and superior profitability. Operationally he focuses on three key drivers: net interest margin; asset quality; efficiency. Recently reported results for 4Q 2015 tell the story. Bank of the Ozarks’ NIMs of 526 bps rank well above the industry average of 337 bps, and annualized charge-offs total just 0.17%, meaning the bank writes down just 17 of 1,000 loans. The stock has recently suffered from the market sell-off, as well as a lawsuit brought by shareholders of current target C1 Financial, who argue OZRK’s purchase price is too low. Even so, shares have trended higher with the announcement of each transaction. Since the beginning of 2011, shares have appreciated 246%, seven and a half times the Keefe, Bruyette & Woods Index of regional banks. While a master of merger integration, Gleason’s roll-up strategy is hardly novel. BofA, Citigroup, JPMorgan and Wells Fargo can all trace the size of their current footprints to multiple acquisitions made since 1990. In the past three years alone, twelve regional banks have kept M&A advisors particularly busy, each buying an average of $265 million in assets every 9 months. What’s particularly interesting about this group is its ability to post consistent growth and profitability while integrating multiple banks into their own established businesses. • Net interest margins, the difference between a bank’s return on capital and its cost of capital, are significantly wider than the 94 banks of the S&P 1500 Bank Index (3.75% vs 3.37%). • Earnings growth has exceeded the averages, both for the past 3 years and based on 2016 estimates (16% vs 13% and 14% vs 9% respectively). We also note this year’s estimates exceed the broader S&P 500 Index earnings forecasts by 2-3 times. Operational efficiencies are the operative words here. Streamlining procedures and integrating software gets very expensive, so does added regulatory compliance since 2008. Former American Banker Association President and two-term Oklahoma Governor Frank Keating told me Dodd-Frank costs the average Main Street bank 17 percent of operating profits. So the fact these twelve banks have been able to deliver superior earnings growth and maintain ROE while integrating multiple acquisitions speaks volumes. It also explains why they trade at a slight premium, in terms of price to tangible book value (1.83x vs 1.64x). Again, these banks have outperformed in spite of powerful headwinds. Their NIMs are rising and so are their stocks, which is why investors are paying a higher multiple of book value. As large money center banks continue parking excess reserves at the Federal Reserve to earn 25 bps, these strategic buyers are aggressively deploying capital to increase their footprints. They are building their businesses. They are the one slice of the banking sector to own now. 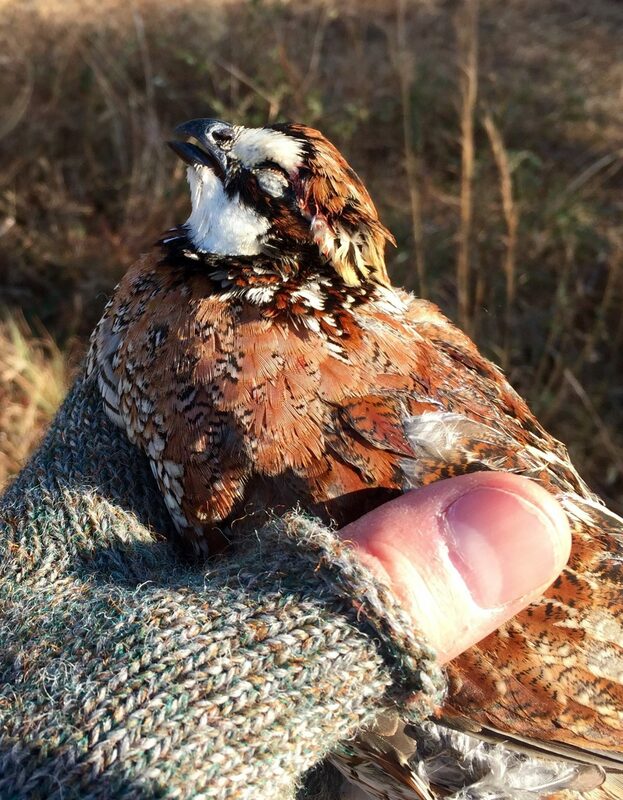 Quail plantations cover south Georgia’s pine barrens for miles. Hours pass as you make your way through sage brush and red clay, steering your horse around pines taller than the sky. It’s an lyrical place and I found myself transported. Strangely though, something our huntsman said about annual shrub burns in March led my mind back to the canyons of Wall Street and rip tides of Washington. Allow me to explain. Longleaf pine forests overhead and grasslands afoot sustain native quail populations which once stretched from Virginia to Florida, as far east as Texas. They survived for centuries through diversity and resilience. In addition to providing habitat for up to 300 separate plant species and 60 percent of the region’s amphibians and reptiles, their seeds could withstand the heat of regularly occurring forest fires, sometimes only sprouting because of heat. These boom/bust cycles occurred regularly, clearing the forest floor from debris and providing ample opportunity for plants to regenerate… ultimately creating more suitable habitat for quail and other wildlife. Today this ecosystem covers just three million acres across the southeast, down from an estimated 90 million acres before settlers began arriving 300 years ago (The Smithsonian). In addition, a stated “zero tolerance” policy against forest fires by U.S. Forestry Service mascot Smokey the Bear means forests don’t purge themselves naturally, creating an unnatural build up of dead wood which has contributed to a 19 percent increase in fire season length over the past 35 years (Nature Communications study, July 2015). As we rode across fields where nature still rules, I was stunned by the now fire-free example presented by global asset markets. Central bankers want no part of cyclical downturns. Fire is something they now seek to avoid at all costs. Their artificial buying has contorted rates into negative territory past the point of recognition. Smokey the Bear meets Janet Yellen. Zero tolerance meet Zero Rates. Again, I digress. Georgia’s plantation owners are working overtime to rebalance and replace these vast forests, often partnering with local institutions like Auburn’s School of Forestry & Wildlife Sciences and the Tall Pines Conservancy. As my guides explained, the process begins in March and April, when forestry wardens grant permits to conduct controlled burns on private land. Fire eliminates dead wood, consumes oak saplings which starve ground plants of light and produces heat which open spores and seeds. Within weeks, green shoots emerge. By the second season, a canopy of broom sage hovers four feet above soil no longer scorched by fire, teeming instead with insects. It’s the perfect environment for quail to move in and begin brooding. They are shielded from hawks circling above, while surrounded with ample food for their chicks on the ground. As July arrives the birds will begin exploring corn and sorghum patches farther afield, feeding on an abundance of seed from newly sprouted crops. Come November, they’ll circle fields in coveys of up to 30, relying on one another to fend off predators. Many will survive for several years, though a few will get paired with bacon, as was the case on our particular weekend. To the Fed’s credit, it stepped into the abyss of 2009 when banks and private institutions ceased to function. The Fed provided a bid as the lender of last resort and prevented a full-scale meltdown. But as former Dallas Fed President Richard Fisher offered on CNBC mid-January, “We at the Fed brought demand forward by several years by keeping rates so low for so long.” Put another way: We prevented the burn, and now it’s a tinder box. Like Smokey the Bear, they’ve made clear no fires are allowed… controlled or otherwise. In the words of ECB President Mario Draghi, “Whatever it takes.” He’s not alone. In January, Bank of Japan governor Haruhiko Kuroda lowered the rate paid on excess reserves posted by banks at the BoJ to negative -0.1 percent. Not only is Mr. Kuroda disallowing the removal of debris from the forest floor, he’s imposing a penalty if anyone picks it up. The logical consequence of increased debris is a much hotter fire, and we may well be stacking the wood past the danger point. 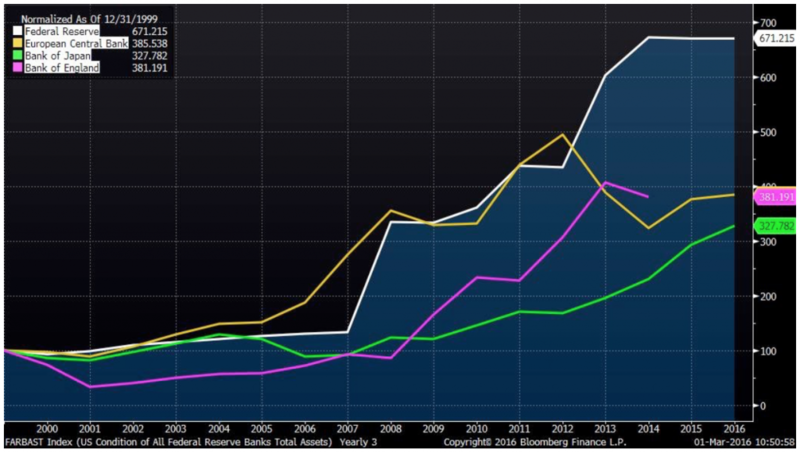 Assets held by the four largest central banks outside China (BoE, BoJ, ECB, Fed) have risen fourfold on average since 2000. Another recent policy adjustment proves troubling. On January 27, The Federal Reserve released its latest outlook and chose to include some new wording about “monitoring markets.” Smokey, put down the binoculars. 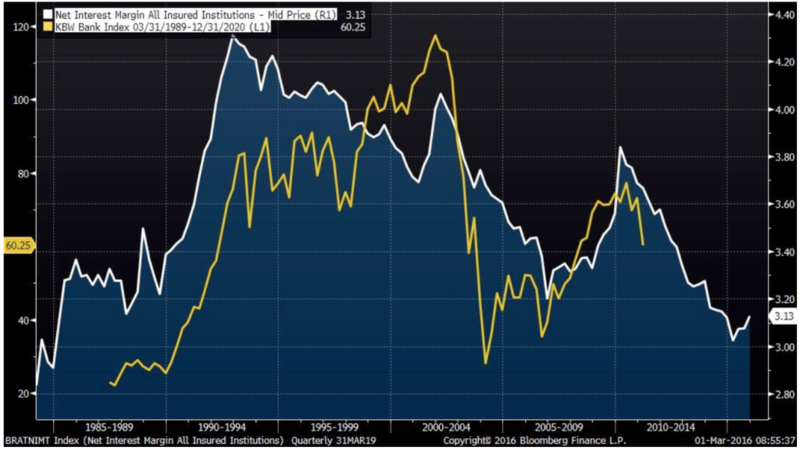 The Fed already has a dual mandate, assigned by Congress in the Reform Act of 1977, which states explicitly “the goals of maximum employment, stable prices, and moderate long-term interest rates.” Adding this market-facing mission only increases the Fed’s already interventionist bias. Again, no chance of a natural burn on Chair Yellen’s watch. One final thought about fires and barking dogs: they wake us up. When a fire erupted inside the walls of my Georgia host’s home months earlier, he was alerted by an otherwise calm labrador retriever. The dog growled at the walls, barked until he was heard and wouldn’t leave until the children were out. China’s 48 percent implosion since May is our barking dog. For six years we have laid comfortably in our beds as Zero Interest Rate Policy (ZIRP) by the world’s central banks have pushed otherwise responsible investors into inappropriate assets father afield. No longer. The current correction reflects a reassessment of risk by global asset managers. Where the bankers failed to clear the floor of debris, asset managers are now pruning proactively, and they’re not done cutting. The limbs have gotten long, and S&P 500 Index offers little value at 17 times earnings, specially given four consecutive quarterly earnings declines. 89 companies in the S&P 500 Index meet David’s criteria, and as he notes, stock screens are a place to begin, not an end unto themselves. To narrow the list, we added two more conditions: Projected earnings growth in 2016 of at least 10 percent and positive earnings revisions during the past 60 days. Eight names fall off the list, proving the combination of 10 percent growth at less than 10 times cash flow is difficult to find. As fire risk rises around us, these are the types of places where we intend to seek refuge for a portion of our assets. Dr. Harris manages the global economic research team at BofAML, and since Institutional Investor has ranked him #1 multiple times, we pay particular attention when he changes his view. Recently, Ethan has raised his estimate for the probability of recession in the U.S. over the next 12 months to 20 percent, so did Ellen Zentner of Morgan Stanley. 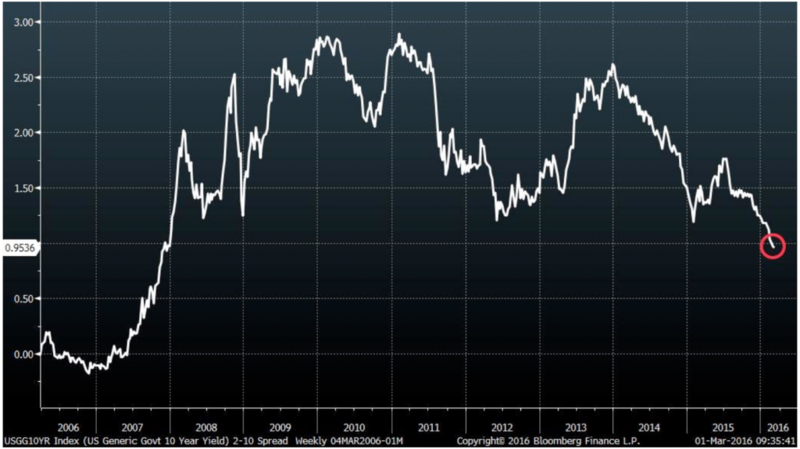 While less alarming than the 40 percent probability cited the following day by Deutsche Bank economist Joe Lavaorgna, R-word anxiety has compressed the spread between 2-yr and 10-yr government bonds to the lowest in eight years. Long-term growth expectations have fallen so significantly, traders only demand an extra 113 basis points of return for 2026 compared to 2018. That’s the kind of malaise we witnessed in 2008! Sorry Ethan, but no wonder economics is dubbed the dismal science. Admittedly, we’ve seen The International Monetary Fund and World Bank lower growth forecasts repeatedly over the past twelve months, though their pronouncements are hardly recessionary. Each institution still sees global growth climbing 2.9 to 3.1 percent, with the U.S. likely averaging just above 2 percent. In fact, not one of the 71 strategists tracked by Bloomberg forecasts negative GDP in the next two quarters, traditionally the definition of a recession. So by going against the grain, Messrs Harris and Lavorgna are either dead wrong, providing cover for themselves in case we do enter recession, or possibly they are just early. For clarity we turn to the labor market, which typically peaks 18-24 months ahead of recessionary downturns. We’ve charted the year-over-year change for monthly non-farm payrolls to illustrate the point. Recessions are identified by shaded areas. 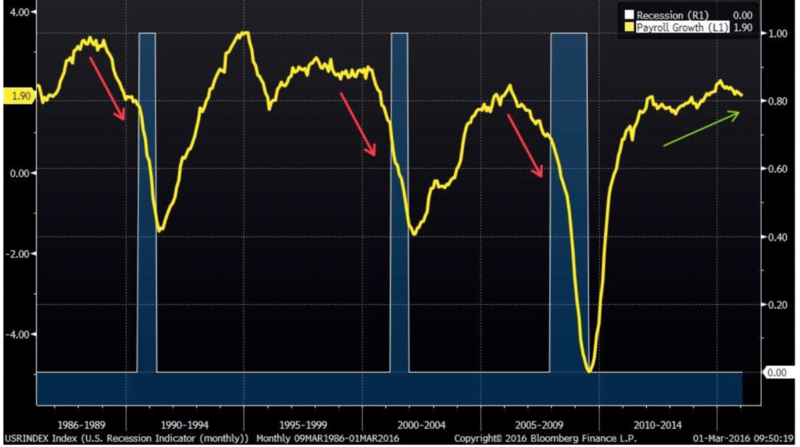 Severe labor downturns preceded all three recessions, which is not the case currently. January non-farm payrolls rose 1.90 percent, consistent with the 6-month average of 1.97 percent. If recession were in the offing later this year, we’d likely already have seen a steep decline in job growth. The National Federation of Independent Businesses provides additional comfort about continued labor market strength. It’s monthly survey of 1,400 geographically diverse firms across multiple industries indicates 29 percent of respondents have positions they are unable to fill, a six-month high. Additionally, 11 percent plan to hire additional workers within the next year, consistent with the 6-month moving average of 12%. If business owners are optimistic about hiring, in spite of having to pay 2.5 percent more in hourly wages per the January Jobs Report, we think investors should be more optimistic about the economy. Instead they are running scared. This fear is most evident in the high yield market, where falling energy prices have gutted the energy sector and widened spreads across the board as if wholesale recession were a foregone conclusion. Translation: The high yield debt market is oversold and should be bought. Weakness in energy is skewing the entire high yield market. Energy accounts for just 16 percent of high yield issuance but could potentially account for 53 percent of total defaults this year, provided JPMorgan is accurate and one in five energy companies files Chapter 11. Add the related metals/mining sector and the number rises to 71% (J.P. Morgan Debt Monitor). Never before have one-fifth of America’s energy, metals, and mining companies defaulted in the same year. JPM recently initiated this forecast to present a worst case scenario. In fact, it’s the only way to arrive at an overall HY default rate of 6 percent, since all other sectors will likely see the same sub-2 percent rate of the past several years. To Tom’s point, spreads above 750 bps imply defaults above 6 percent, and 6 percent is only achievable if energy, metals and mining implode at rates never before witnessed. At these prices, buyers are being well compensated for the risk. We like high yield here. So THANK YOU nervous bond investors for throwing away your perfectly good bonds. Your fear presents a value opportunity, and while we could certainly buy individual issues, we will opt instead for the diversification of exchange traded funds (ETFs) which invest in a basket of bonds from HY issuers. Bloomberg lists 33 high yield ETFs, including the two largest and most liquid: iShares HY Corporate Bond ETF (HYG) and SPDR Barclays NY Bond ETF (JNK). We will not consider these two however, as their energy exposure 9.5 and 10.9 percent respectively. Instead we focus on several others with lower exposure. They are all diversified, provide reasonable yield and meet minimum liquidity requirements. In addition they are down on average only 1-2 percent this year, implying reasonable safety compared to stocks.